Do you feel tired most of the time and you find it extremely difficult to recover from a normal workout, irrespective of your age? If you find that you don’t always have the energy you once did, you are not alone. Lack of energy is a common complaint. And this is primarily due to lack of nutrition and essential proteins at the cellular level. You may be suffering from biological aging. This figure shows the effect of 800 mg/day of Bio-DNA Cellular Marine Complex given orally for 15 days on various physical symptoms of aging. 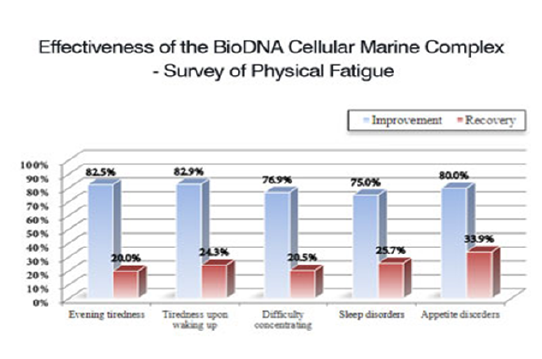 Consumption of Bio-DNA Cellular Marine Complex led to significant reductions in evening tiredness, tiredness upon waking up, difficulty concentrating, sleep disorders and appetite disorders. CELERGEN, THE WORLD’S ONLY SWISS MARINE ORAL CELL THERAPY SUPPLEMENT, DRAMATICALLY RESTORES YOUR PHYSICAL WELLBEING BY FIGHTING OFF EXHAUSTION AND OTHER UNPLEASANT PHYSICAL SYMPTOMS OF AGING. CELERGEN STIMULATES SELF-HEALING AND ENERGY PRODUCTION BY TRIGGERING CELLULAR REJUVENATION WITHOUT ANY NEGATIVE SIDE EFFECTS. 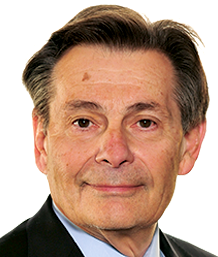 THERE’S NO REASON TO FACE AN ENERGY SHORTAGE!